50usd to trade on Non-Farm Payrolls – be sure to get before July 7! Do you know that average retun of a trader on the previous NPF release was 500 usd per one lot? You have all chances to repeat this success! Moreover, we want to help you to earn on this news release! Before July 7 deposit the amount from 200 usd and receive 50 usd as extra bonus with 101% Tradable Bonus campaign. Example: you deposited 1000 usd. Your main bonus will be 1010 usd + 50 usd extra bonus. Be ahead of the market together with FreshForex! Non-Farm Payrolls (NFP) report shows the number of work positions emerged in a month in the USA without account of farm positions and gives traders good opportunities to bank on it. 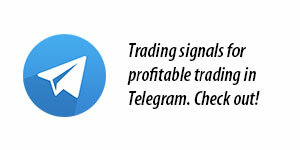 - Make sure that your trading account is verified and linked to 101% Tradable Bonus campaign. - To get extra 50 usd bonus, contact us using the feedback form in the Client Area. Requests can be processed within three hours of business time of the company. Real and Withdrawable Rebate by FreshForex! FreshForex Presents to your Attention Economic Calendar by MetaQuotes! Double your deposit prior to release of FED's meeting record!